It is the position of Speech-Language and Audiology Canada (SAC) and the Canadian Academy of Audiology (CAA) that the direct-to-consumer sale of hearing aids seriously compromises consumer safety, satisfaction and successful use of these devices. There are a growing number of retailers and manufacturers selling or attempting to sell hearing aids and other amplification devices directly to consumers. The direct-to-consumer sale of hearing aids advertises low cost devices, offering this affordability often by eliminating the need to see a qualified hearing health professional, the audiologist. While there are currently several different direct-to consumer sales models, the importance and necessity for safe and competent hearing health care services, as provided by the audiologist, is ignored. A complete assessment by an audiologist is an essential first step to obtaining accurate diagnostic information on the degree and type of hearing loss. The audiologist can determine whether a hearing aid is appropriate or whether additional medical attention is needed. There may be underlying causes for the hearing loss that need to be ruled out before a hearing aid is considered appropriate. If a hearing aid is appropriate, the audiologist is best suited to guide the consumer through the appropriate selection, fitting, evaluation, verification and adaptation stages of treatment. Hearing loss is more than an inconvenience. Even a mild hearing loss can have serious social, health and economic consequences. Often those experiencing hearing loss withdraw themselves from their usual social activities because communication becomes strained. This isolation impacts relationships and the social connection needed to maintain good mental health. Work and income can also be seriously impacted. ASHA. Retailers for Hearing Aids, Personal Sound Amplification Products, and Apps: http://www.asha. org/Advocacy/Retailers-for-Hearing-Aids-Personal-Sound-Amplification-Products-and- Apps.htm [Last retrieved April 7, 2016, 2016]. Kochkin S. MarkeTrak VIII: The key influencing factors in hearing aid purchase intent. Hearing Review. 2012; 19(3):12-25. Spring 2018 Newsletter | Hear Better, Remember More! Our Spring 2018 newsletter has some great tips and hearing health research you need to know about. And, if you've had any problems with your hearing and haven't taken care of them, now is the time! Noise exposure in the workplace and away from it can damage your hearing and cause permanent hearing loss. 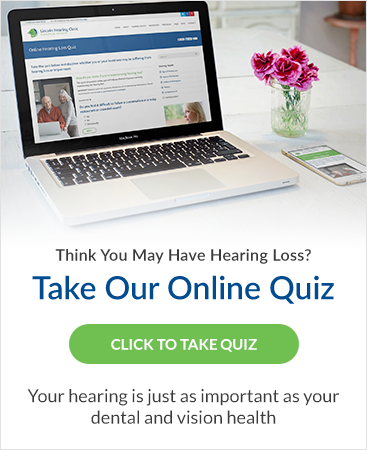 Need information about hearing loss? Ready to book a consultation? Whatever you need, the Lincoln Hearing Clinic team is here for you.